Indiana INTERNnet is pleased to be working with the Indiana Commission for Higher Education (CHE) to facilitate EARN Indiana, a revamp of the state work-study program. Employers with an approved internship may receive state matching funds by hiring students, eligible to receive state financial aid, for a resume-building, experiential, paid internship. CHE is partnering with Indiana INTERNnet to better match students and employers to maximize each student's academic success and career achievement and to assist employers in finding the perfect fit for their team. Each internship you post can be considered for reimbursement. After you've created an account and posted an internship here at Indiana INTERNnet, you'll have the opportunity to submit the position to CHE. You will receive an email from CHE within approximately 5 business days regarding the status of your internship and with instructions on how to proceed. 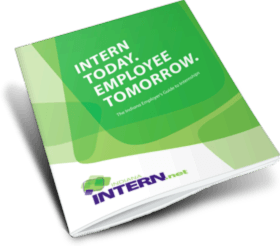 No more than 25% of intern’s work can be administrative in nature. All internships must last at least 8 weeks and no longer than one year in order to be eligible for EARN Indiana. Find out if you're eligible to receive EARN Indiana funds by clicking on the EARN Indiana banner at the top of your Student Dashboard and completing the short form. By answering just a few simple questions, you'll instantly learn your eligibility status. Each eligible intern and internship will be designated with the EARN Indiana logo to help both parties make more informed decisions about their positions.